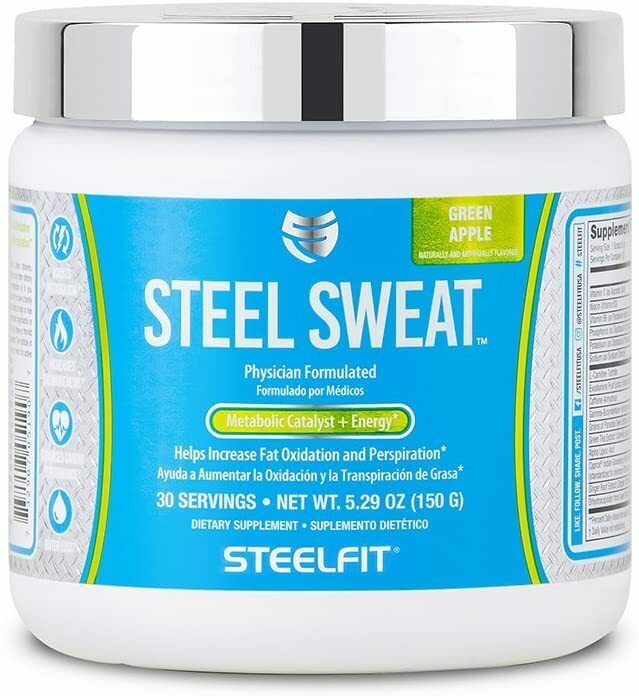 Delicious Fat Burning Powder: Steel Sweat attacks weight loss from multiple angles by synergistically pairing research-backed compounds that increase fat mobilization, fat oxidation, and energy expenditure. Unlike other so-called fat burners, Steel Sweat doesn’t rely on a bevy of stimulants that trick you into thinking it’s working by making you feel jittery or hyper. 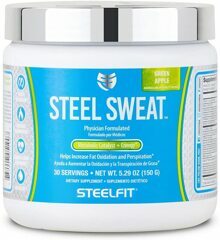 Steel Sweat is light on the stimulants, proving just enough to arouse your senses and enhance energy, motivation, and mood. Paradoxine Puts the Sweat in Steel Sweat: A premium-grade patented extract of Grains of Paradise, Paradoxine is a stimulant free fat burning supplement that cranks up your internal temperature, creating a thermogenic effect like no other. Paradoxine has a long history of use as an herbal remedy, and recently it’s become one of the most sought-after ingredients for rapid fat loss. Enhances Cardio Performance: Human research has demonstrated that Capros supports cardiovascular health by enhancing endothelial function and cholesterol levels, which allows you to push harder and further during your workouts due to the increased blood flow. Super Carnitine Production: Combining GBBGO with L-Carnitine L-Tartrate provides a two-pronged attack for boosting carnitine production, and subsequently fat burning, all in the effort to get you to burn more calories and get leaner than ever.